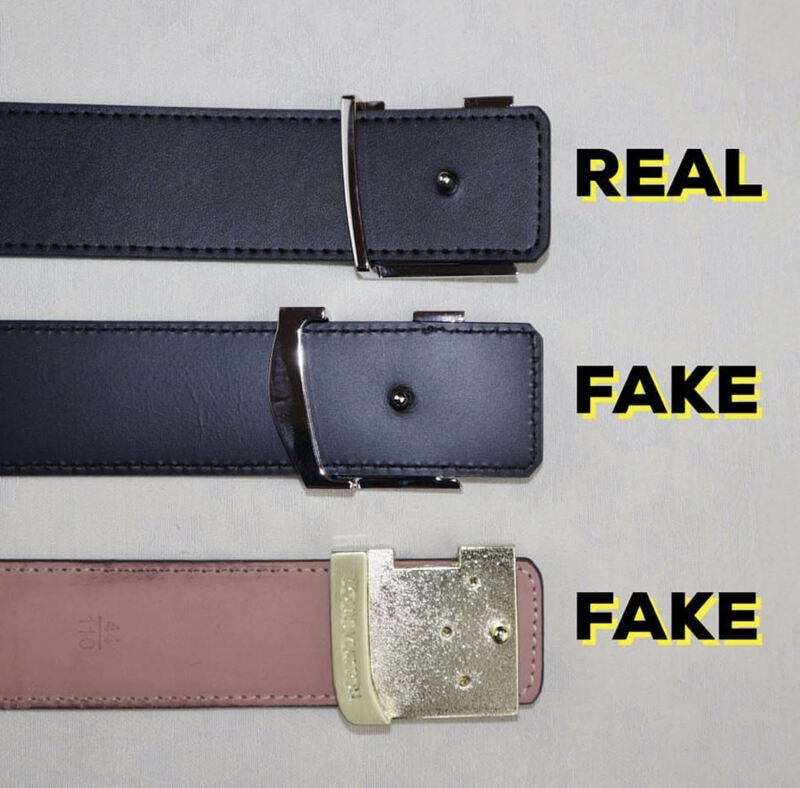 INSTAGRAM ANSWER: THE SECOND BELT IS THE REAL ONE. Hello, my dear friends. 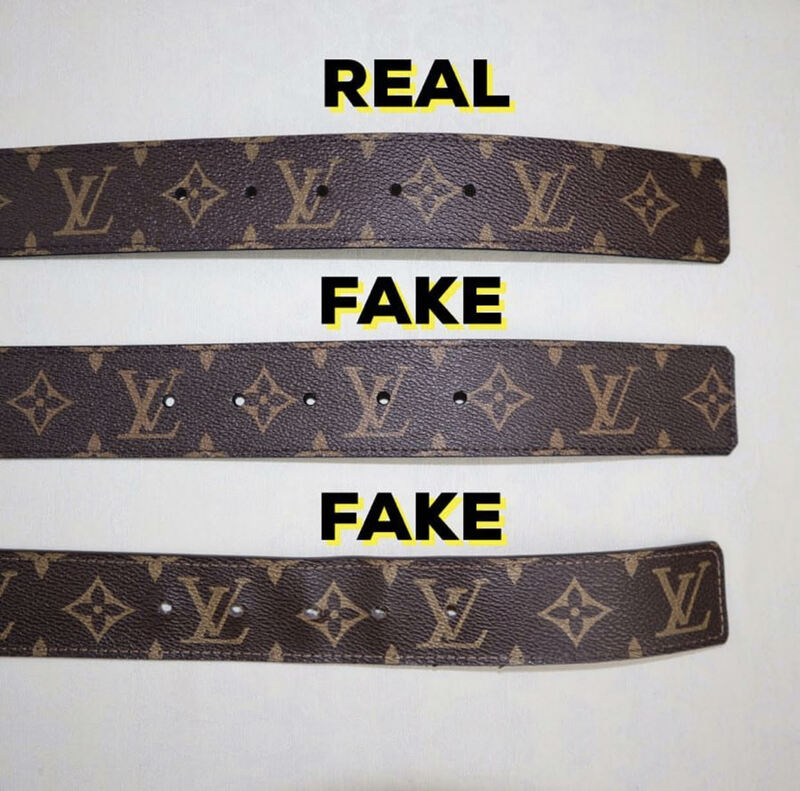 Today I want to talk about spotting a fake LV belt. 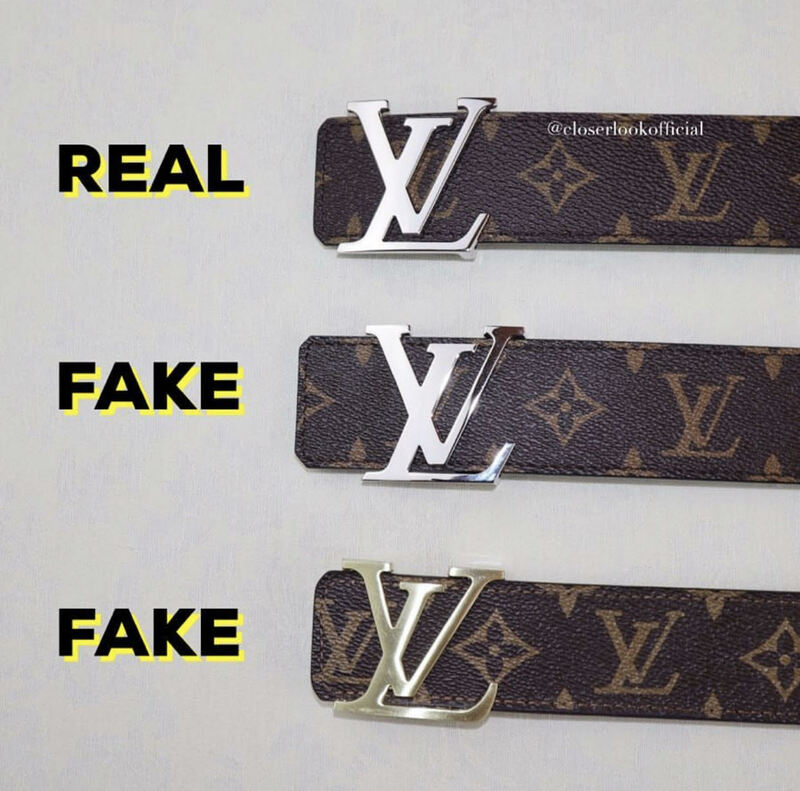 The pictures we have shared below will help you a lot to find the differences between the real and the fake Louis Vuitton belt. 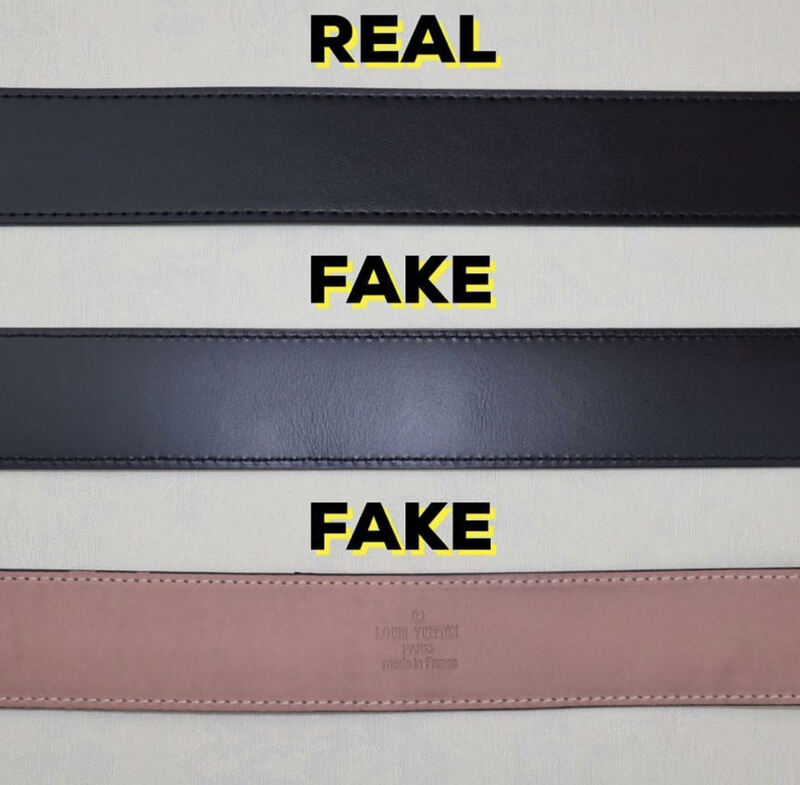 Let’s start now with what you need to know before buying a belt online or from a personal shopper, or other places which are not the official stores of LV. You have to be careful when it comes to this part of the belt which is very important. 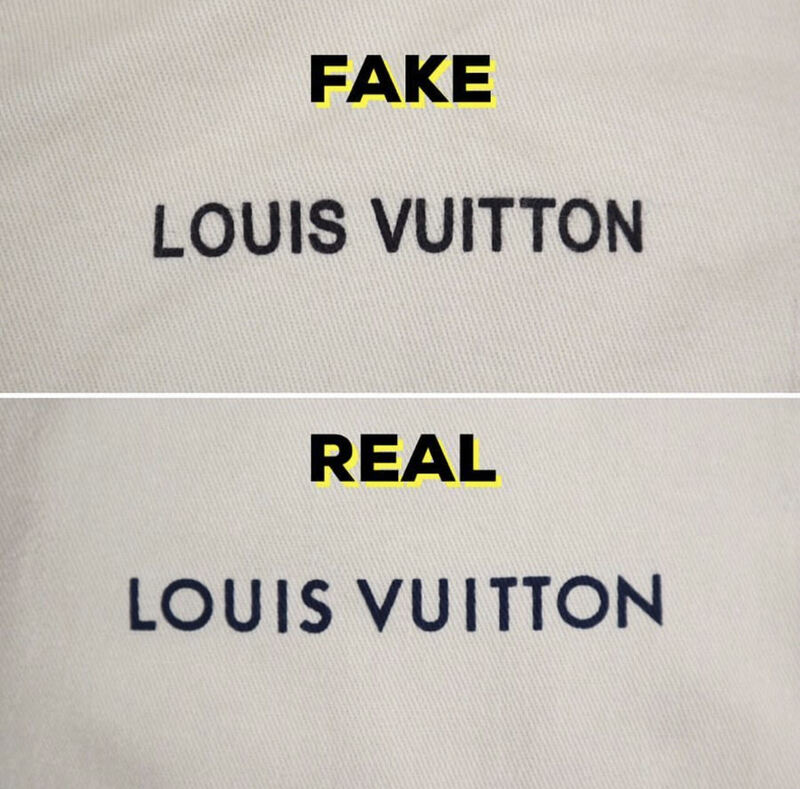 Take a closer look at all pictures I’m showing because once you get familiar with the authentic one, you will easily spot all types of fakes. 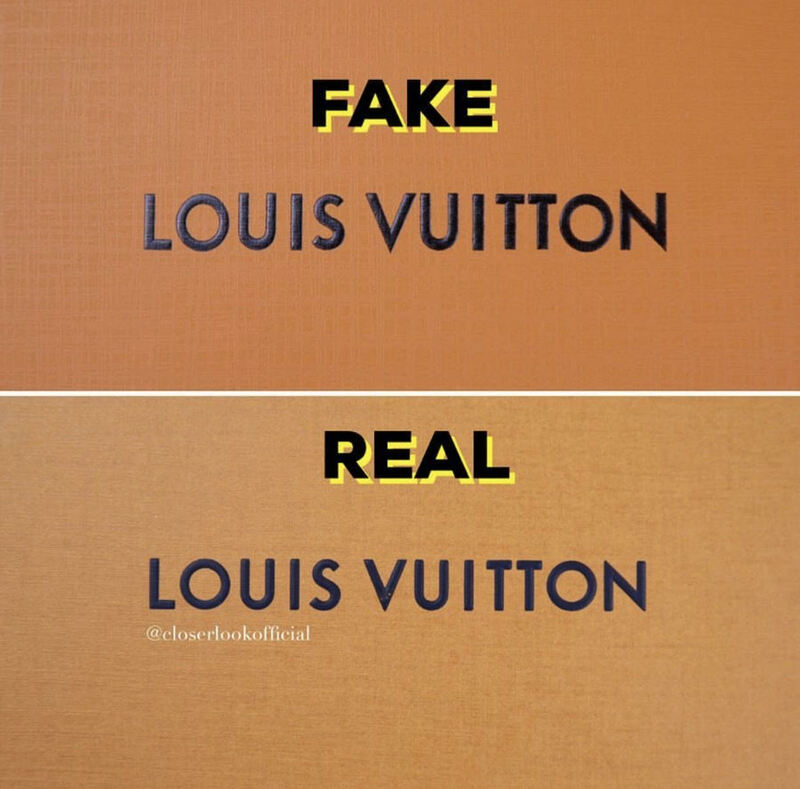 The font or color of the LV initials in the fakes is different from the authentic one and you can see it in the pictures below. 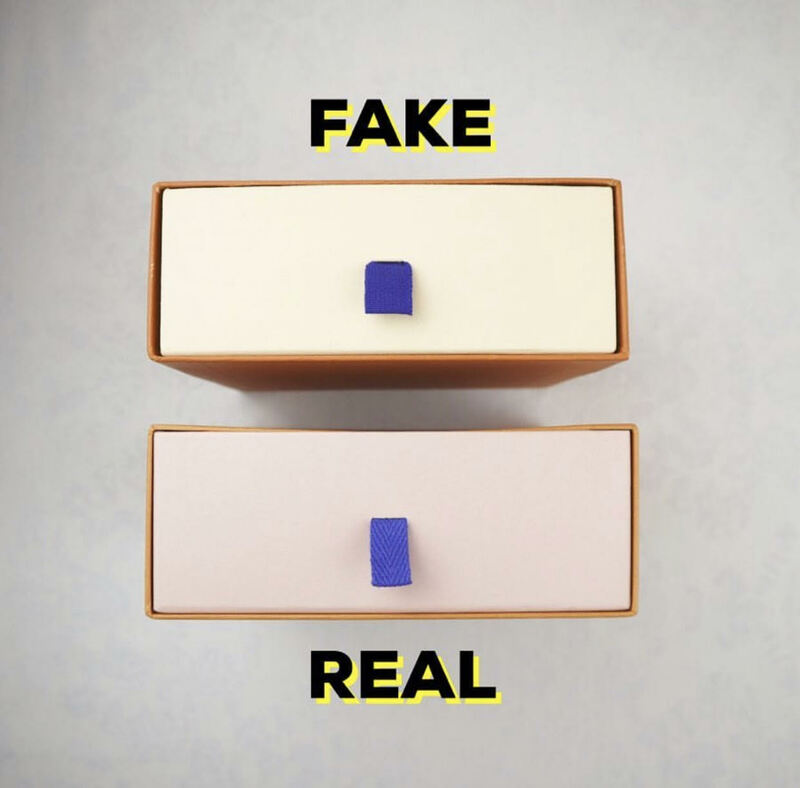 The buckle color and where it is placed is another difference you need to see. Sometimes the buckle is far from the edge in replicas, meanwhile in the real one is closer to the end of the strap. The real buckle of the authentic belt is smooth and very difficult to copy its material. 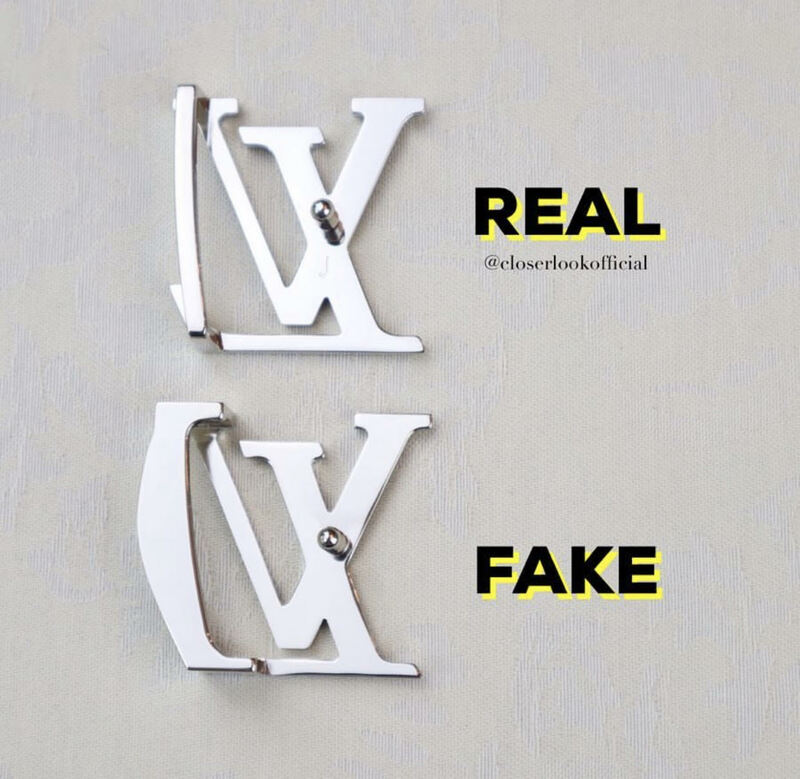 The parts of the buckle are different, in the right of the authentic buckle is slimmer meanwhile in the fake one is wider. 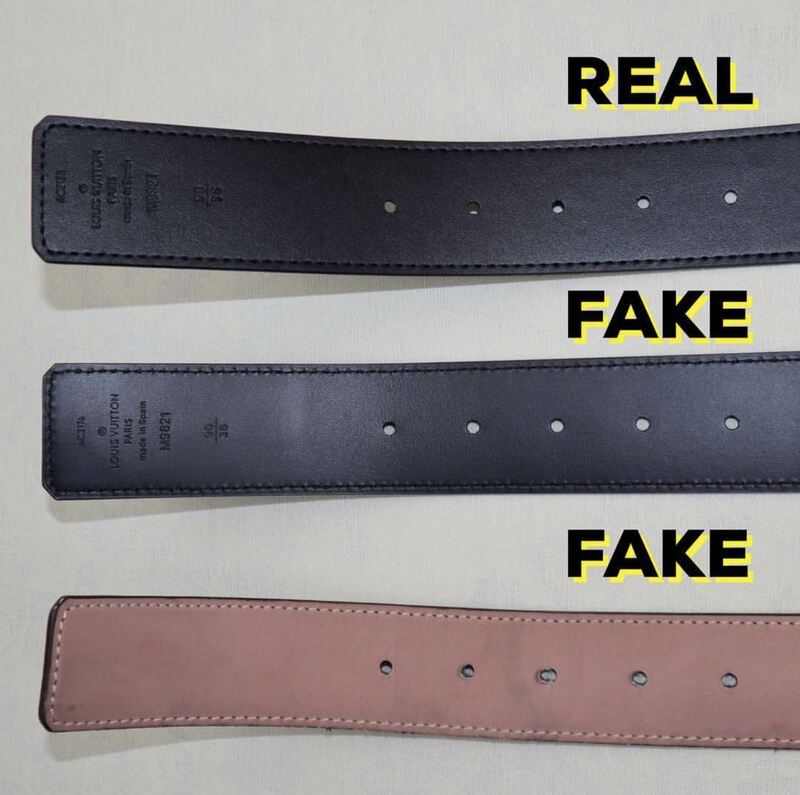 The stitchings of the straps of belts in the photos below, show you the difference between the real and the fakes. 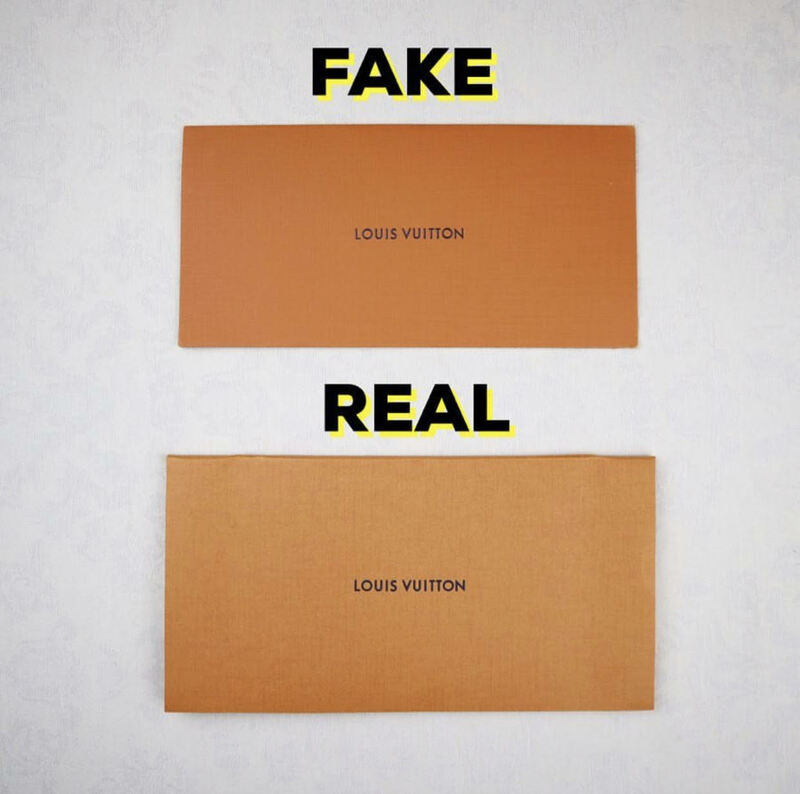 You also, have to see the color of the canvas and the texture between the belts and focus more on the authentic one, because as I said before when you get familiar with the real one you will not have problems to spot the fake. 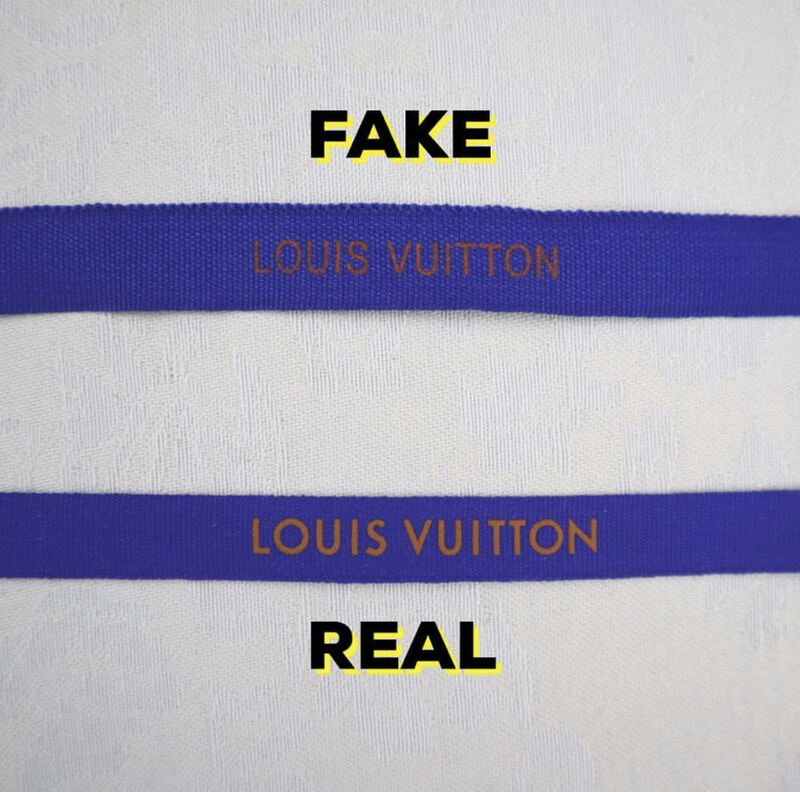 Another thing you need to know and to focus on, are the details I mentioned you above, in the endings of Louis Vuitton belts. 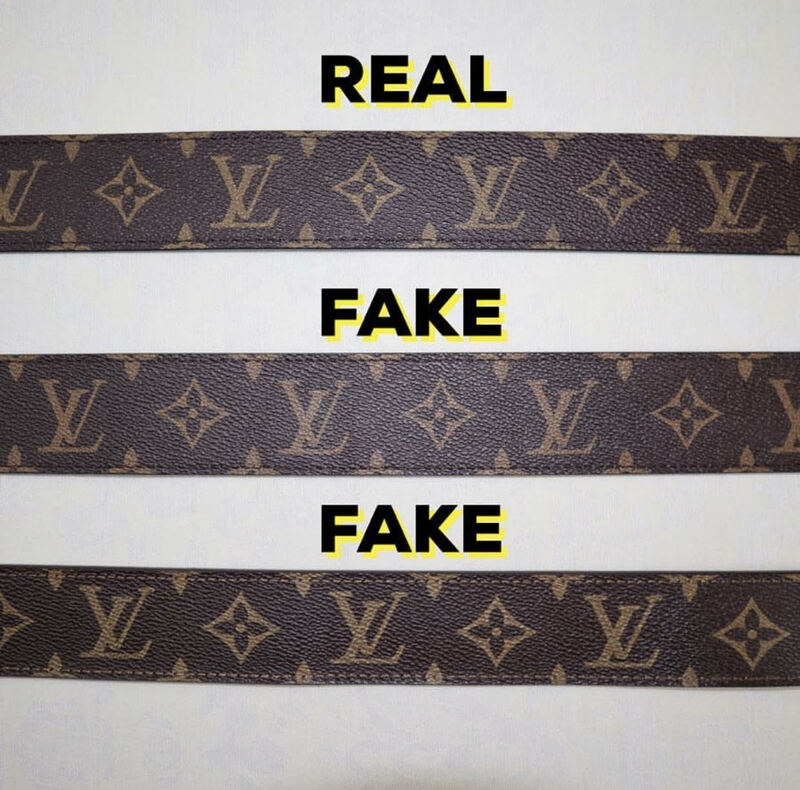 The main differences between the belts are the quality of the leather, the stitching and sometimes the replicas have LV stamping Louis Vuitton Paris made in France in the middle of the belt which doesn’t exist in the authentic one and this is an indicator of a fake belt. 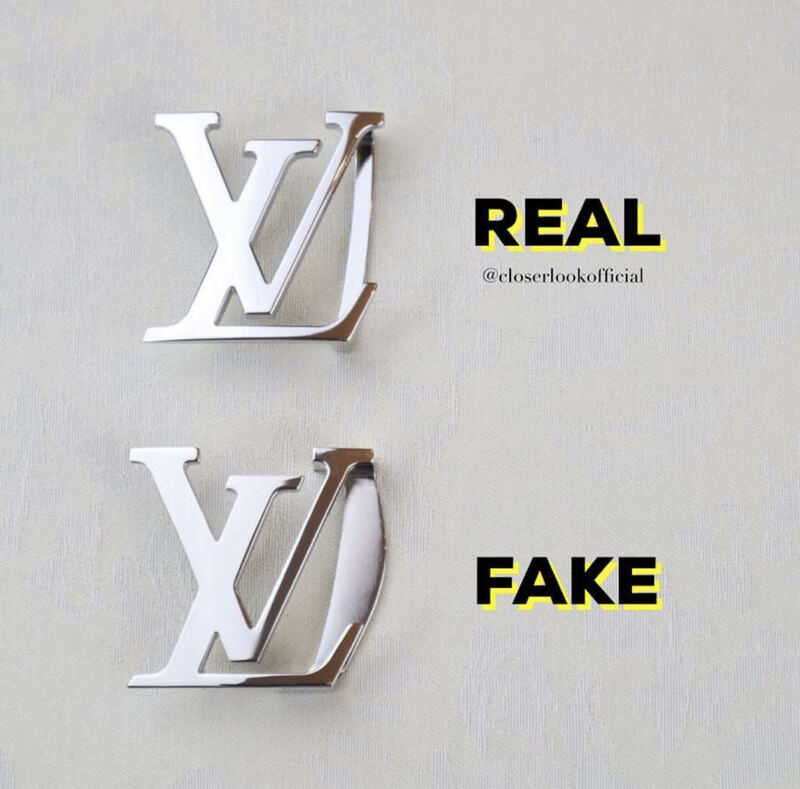 Sometimes in the back of the authentic belt is written Louis Vuitton Paris made in Spain and the size of the belt in another part. Then you have the date code of the belt for which I have talked in the other article that you can find by clicking the date code above. 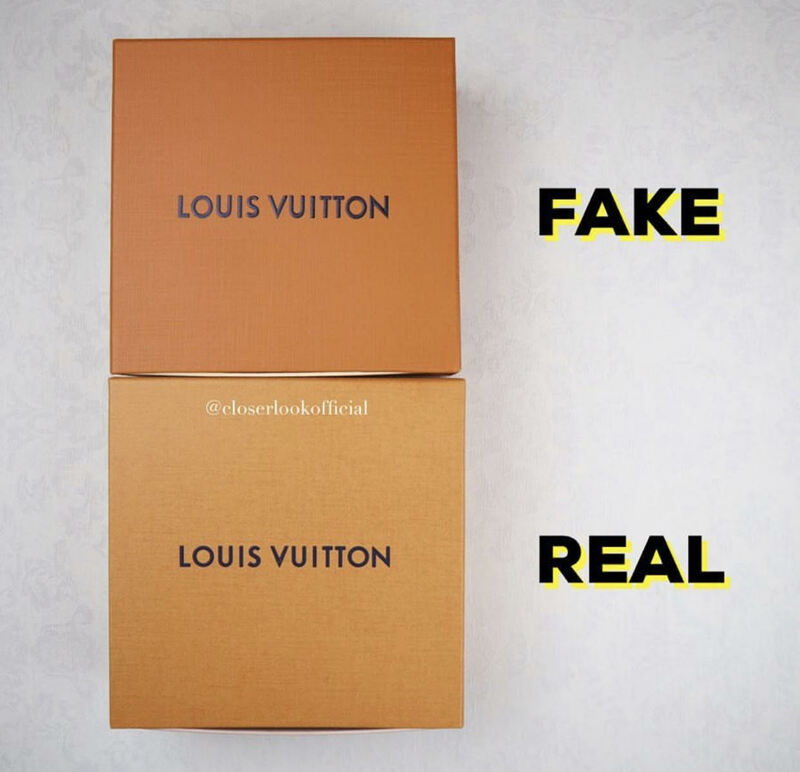 What you need to see in this part of spotting fakes at the boxes and dust bag of packaging is the box texture, box color, the writing font and boldness. 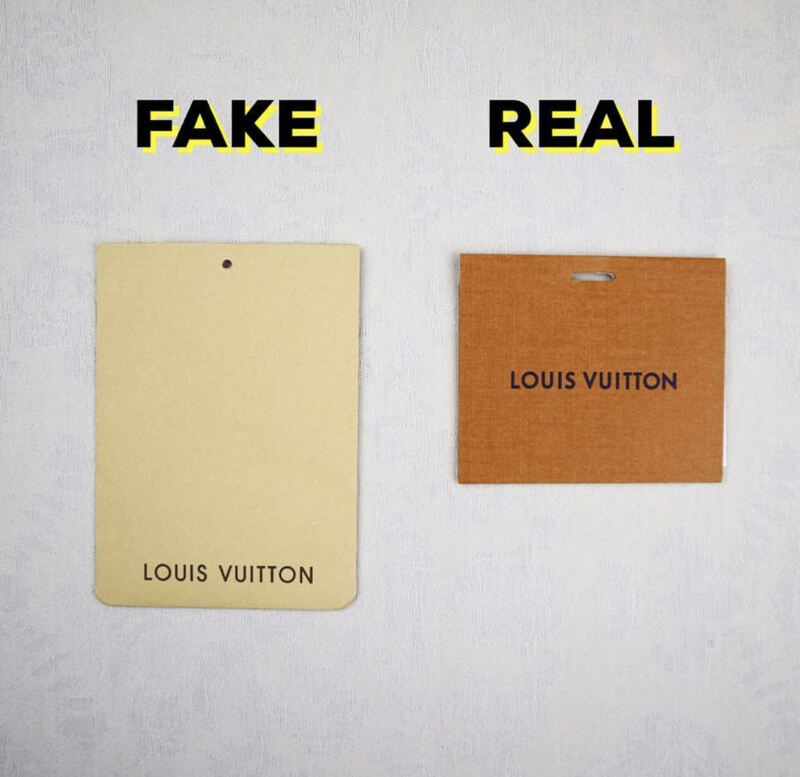 The LV ribbons are made using higher quality cotton and the print is also bolder and brighter. 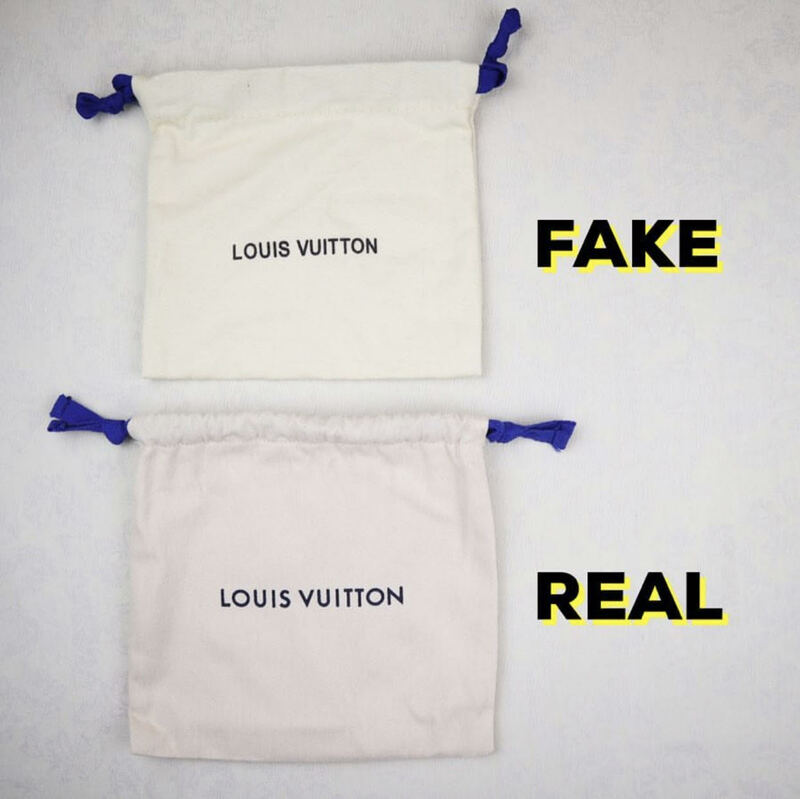 At the dust bag, you have to see the differences at the font, color and material of the dust bag, alignment and the spacing. Let’s check the pictures below. Did you find this article helpful? It would be very helpful to us if you subscribe and share it with your friends. Thank you so much for being loyal to our articles and thank you again closerlookofficial for helping us through this guide.